Confession: I’m sure this is a fantastic album and that the musicians are doing fancy things with time signatures that I could only dream of, but their talent exceeds my ability to appreciate it. 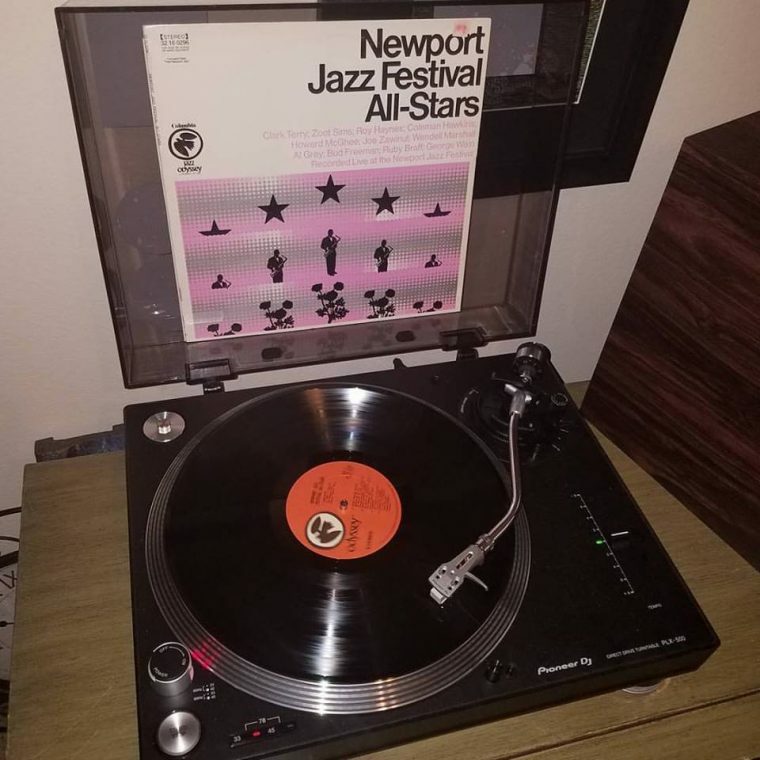 This is mostly experimental jazz recorded live in 1962 at the Newport Jazz Festival. The opening track is 10:45 long and titled “Undecided,” as in “I don’t know what we just played, so this title is kinda undecided. The album jacket says that the beat is kept by “an adaptable, swinging drummer who possesses a fine ear.” While I’m sure this is true, it sounded to me like he was playing his own song in another room. There was one point of the song where one of the trumpets thought his impromptu solo was over and blew a note but good ol’ Roy just kept drumming and you can hear one of the guys laugh. The whole album is like that. The bass player seems to be playing twice as fast as everyone else and the brass just does its own thing, baby. Like I said, I’m sure this is better than I’m giving it credit for. It needs a more sophisticated listener. That’s the first thing that popped in my mind when the needle dropped. The first few measures had me thinking this might be the soundtrack to Ocean’s 11-13. Thankfully it is not a full album of swingin’ 60’s Vegas music. 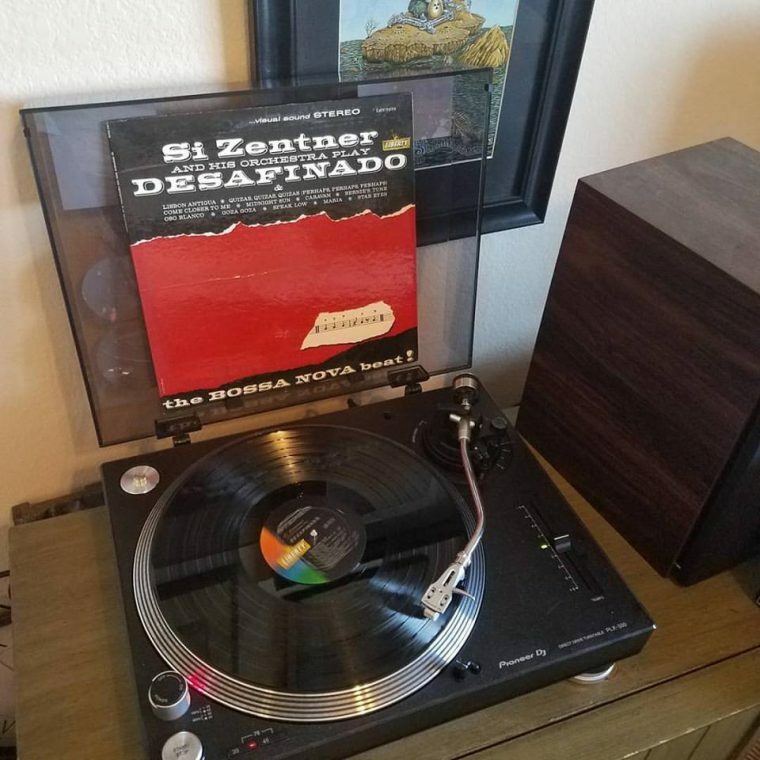 Instead, it is a nicely balanced big band bossa nova album that focuses heavily on Zentner’s trombone. This is a stereo mix from an era where sound engineers liked to experiment with the sound stage and over separate the channels. The result is something that sounds fantastic on headphones, but the imaging through speakers is a little on the harsh side. The biggest surprise on the album for me was the song “Quizas, Quizas, Quizas” which translates to “Perhaps, Perhaps, Perhaps.” I’d first heard that song on Cake’s Fashion Nugget CD and I didn’t know it was a remake of a standard. Overall, this was a pleasant album and makes for good evening background music.